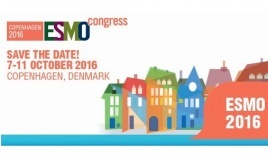 Results from a new analysis of the predictive miR 31-3p biomarker for metastatic colorectal cancer (mCRC) patients enrolled in the FIRE-3 clinical trial will be featured as an oral presentation during a proffered session at the upcoming 2016 European Society of Medical Oncology (ESMO) Congress. Professor Pierre Laurent-Puig, M.D., Ph.D. from the Department of Genetics and Head of the Clinical Oncogenetic Unit at the European Georges Pompidou Hospital (HEGP) in Paris, France and Director of the INSERM UMR- S775 Research Unit at the Paris Descartes University Medical School will present new data on the ability of miR-31-3p to predict clinical endpoints of response to cetuximab therapy. The presentation will occur at 9:15 a.m. on Monday, October 10, 2016 in the Copenhagen Room (North Hall) at the Bella Center Copenhagen.